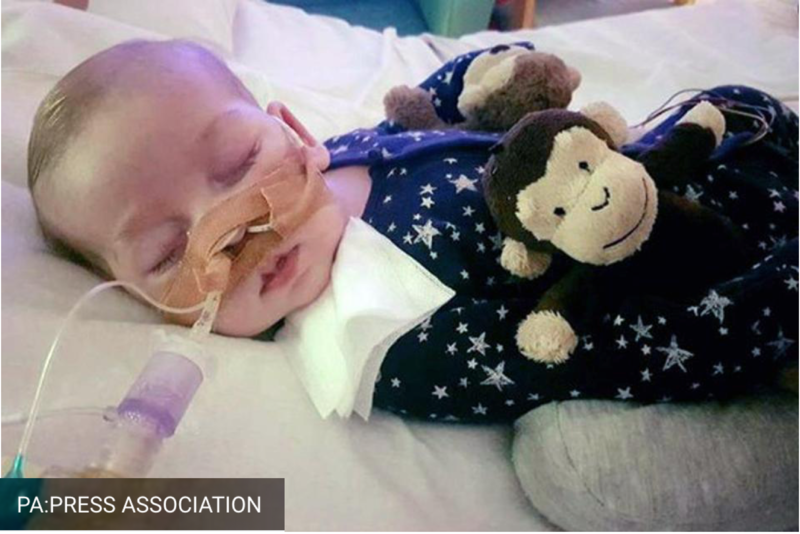 A London High Court judge has ruled that terminally ill infant Charlie Gard can be examined by a doctor from the United States, amidst his parents’ battle to pursue experimental therapy abroad instead of the terminated life support prescribed by his British doctors. The 11-month-old infant was born with mitochondrial DNA depletion syndrome, a rare genetic condition that causes muscular degeneration, respiratory failure and motor skill decline. Most children with the disease fail to live past early childhood; Charlie’s doctors have stated that it will eventually cause his death. In Britain, courts rather than parents dictate children’s best interests in the face of opposing medical advice. Though Charlie’s doctors at Great Ormond Street Hospital were granted court permission in April to remove the infant from life support, Charlie’s parents’ lawyers have since been advocating for the right to maintain life support and pursue alternative therapy despite his doctors’ insistence on the low likelihood of the proposed therapy’s effectiveness, and the high likelihood of lifelong pain with the disease. The high-profile case has attracted the attention of President Trump, Pope Francis, and anti-abortion groups, all of whom have vocalized their support for Charlie’s parents interests. Several notable medical authorities and colleges have expressed their support for the hospital’s consensus or condemned the politicization of the case. Following the judge’s novel permission, a New York-Presbyterian Hospital/Columbia University Medical Center neurologist will evaluate the potential effectiveness of a nucleoside therapy that has successfully prolonged the lifespan of similarly ill patients, though such patients’ conditions have owed to a mutation distinct from Charlie’s. The case pivots on several bioethical questions that are particularly acute in the context of terminal illness. Where should the law draw the line between parental authority and medical authority? Whose preferences speak for a voiceless patient? At what point is death preferable to probable persisting pain? And how should the risk of acute patient suffering be weighed against the hope of medical revelation? The answers to these questions as they pertain to Charlie’s case will potentially set stunning bioethical precedent for British courts. The judge expects to issue his final decision at the beginning of next week.